Crystal Vision offers a range of gateways and translators for dealing with video over IP. Our IP products are software apps that run on the MARBLE-V1 media processor – purpose-built video over IP hardware that fits in the Vision frames. Simply change the app when your needs change. 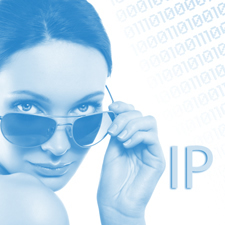 No other IP products make it quite so easy for your systems to grow and mature with the transition. Providing transport of uncompressed video over 10GbE IP networks, the products can encapsulate and de-encapsulate up to six HD/SD or three 3Gb/s SDI and feature up to four network interfaces. The IP gateways are used for converting SDI to IP and IP to SDI. The unique IP to IP translators have been designed to help broadcasters solve IP challenges, providing a bridge between the ST 2022 and ST 2110 protocols as well as allowing changes to network settings. In addition to protocol conversion, uses include network address translation, unicast to multicast address translation and the setting of media firewalls.